We recommend taking the Keisei bus bound for Chiba-Chuo Station. The bus stops at Kaihin-Makuhari Station and major hotels in the Makuhari area including Makuhari Prince Hotel. It runs every 1 hour. The trip from Narita takes about 30 minutes and costs 1,100JPY. From JR Tokyo station, the terminal station for Shinkansen, take the JR Keiyo Line, which departs from the Keiyo-underground-level in JR Tokyo station. We recommend taking the Keiyo Rapid Service bound for Soga, which runs every 30 minutes. It takes about 30 minutes and costs 540JPY for the trip to Kaihin-Makuhari Station. Do not take Limited Express Trains nor Commuter Rapid Service. 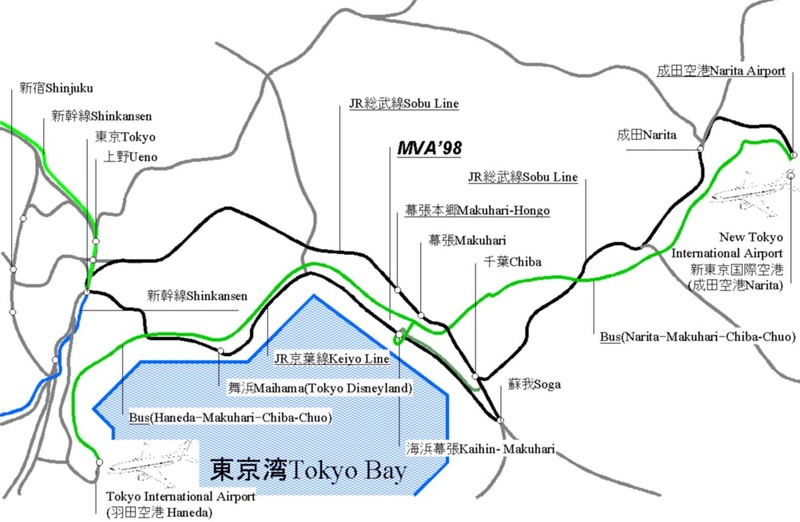 From Tokyo International Airport (Haneda), we recommend taking the Limousine bus bound for Chiba-Chuo Station. 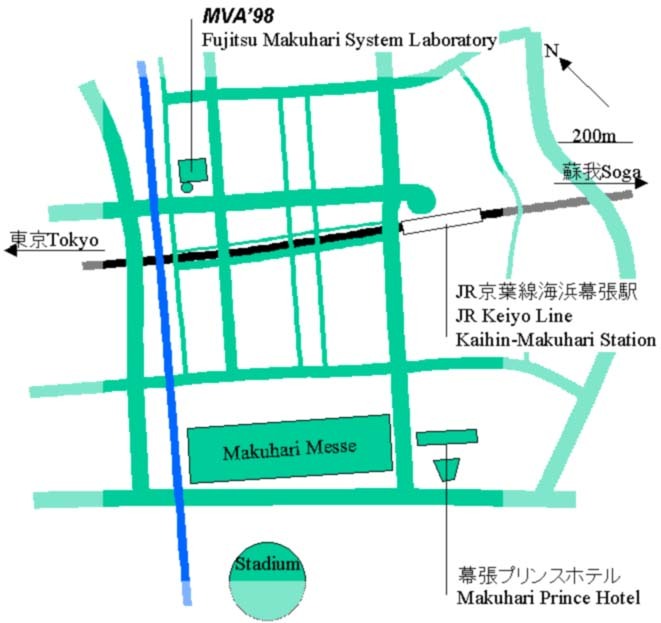 The bus stops at Kaihin-Makuhari Station and major hotels in the Makuhari area including Makuhari Prince Hotel. It runs every 30 minutes. It takes about 50 minutes and costs 1,120JPY for the trip from Haneda to Makuhari. The bus service might be delayed because of traffic condition.